I’m honored to have a story in the debut issue of Black Cat Mystery Magazine—and particularly pleased that this story, “Fairy Tales,” has found such a fine home. “Fairy Tales” is story I’ve been working on for several years—one that has seen a number of different versions, none of which ever seemed right until the draft I submitted for publication here. Part of my hesitation has been the issue of race that’s core to the story, the sensitivity of dealing with that issue, and (not unrelated) the question of voice, getting the voice of the protagonist pitch-perfect, or at least as close as I could. And then there’s that word protagonist…. What’s been interesting to me along the path of writing this one: how differently my first readers have experienced the story, how they’ve felt about that central character, how they’ve reacted to the events of the entire tale. I look forward to hearing what other readers think. 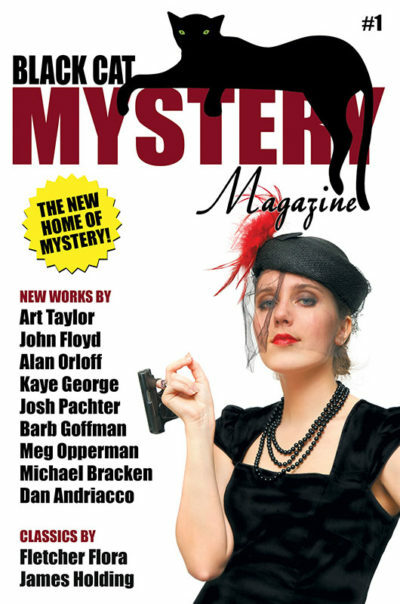 I’m also grateful to be in an issue featuring so many other writers whose work I admire, including Michael Bracken, John Floyd, Kaye George, Barb Goffman, Meg Opperman, Alan Orloff, Josh Pachter, and more. Wishing Black Cat many, many more years of success ahead, and thrilled to be part of this milestone debut.